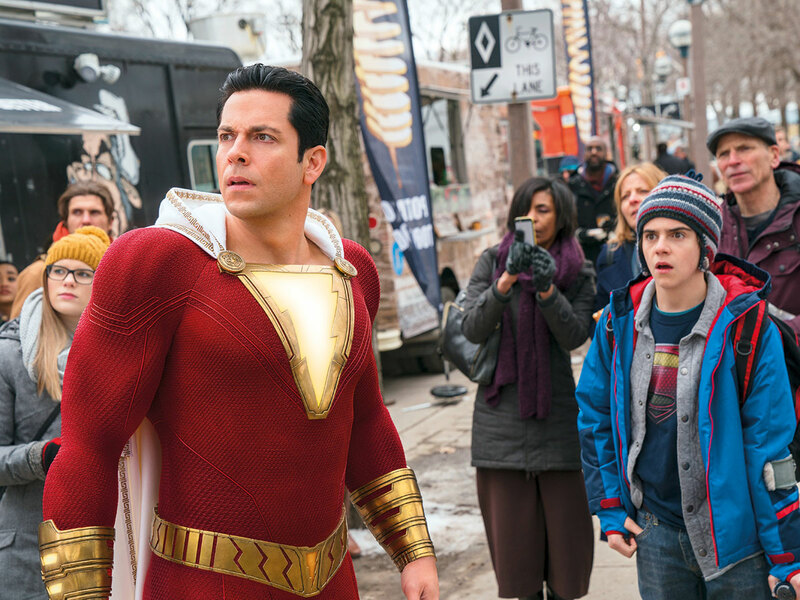 Warner Bros’ lighthearted superhero tale ‘Shazam!’ held on to top spot on its second weekend, taking an estimated $25.1 million (Dh92.1 million) as it kept a flurry of newcomers at bay, industry watcher Exhibitor Relations said on Sunday. The family-friendly flick stars Asher Angel as Billy Baston, an unhappy foster kid who is transformed into a muscular, wise-cracking adult superhero (Zachary Levi, who was in Dubai over the weekend) when anyone pronounces the secret word. The film has been a hit with critics and audiences, scoring 90 and 88 per cent respectively on movie ratings website Rotten Tomatoes and overseas ticket sales hitting $164 million. Universal’s new release ‘Little’ — another body-swap comedy, this time with a grown-up trapped in her teenage self — was runner-up with $15.5 million on its opening weekend, playing particularly well with female and African American audiences. Marsai Martin, 14, pitched the idea for the movie when she was just 10 after being inspired by 1980s hit ‘Big,” starring Tom Hanks, in which a child becomes trapped in his adult body. In third spot was fellow newcomer ‘Hellboy’ which posted a disappointing $12 million for distributor Lionsgate against expectations of $17-$20 million. The rebooted superhero movie, directed by Neil Marshall and starring ‘Stranger Things’ actor David Harbour, was panned by critics who complained about its lack of cohesion and compared it unfavourably to the Guillermo del Toro’s 2004 and 2008 entries starring Ron Perlman. Horror film ‘Pet Sematary’ — a remake of the 1989 film based on the Stephen King book — took fourth place with an estimated $10 million. Fifth went to Disney’s ‘Dumbo,’ at $9.1 million. The Tim Burton remake of the 1941 film tells the story of a small elephant with huge ears and a powerful desire to be reunited with his mama.